(Newser) – The White House is rethinking its promise to release photos of detainees being abused in US custody, press secretary Robert Gibbs suggested yesterday, saying President Obama has “great concern” about the impact they would have. At issue are 44 photos targeted in a Freedom of Information Act suit by the ACLU. 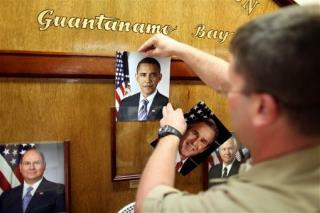 A US attorney told a judge last month that the Defense Department had agreed to turn over the photos by May 28. I agree. Don't release them! They serve no purpose!